Last night, I was herded into an elevator with several other women, guarded by a woman dressed all in black who would not smile at us. When we arrived at our destination, we were informed by a man in a suit that we had been sealed inside The Ark for the protection of ourselves and also for the protection of the seed bank created by the National Arboreal Protection Agency. I should have been frightened, but instead I was delighted. This was book launch performance art at it's best, a chance for attendees to physically inhabit the world of Annabel Smith's brand new book, The Ark, which made its way into the world and into cyberspace yesterday. (Review to come.) The Ark is a multi-platform experience which allows readers of the digital format to participate in the story through an accompanying app. It is an epistolary novel of a new sort, told in emails, memos and text messages, with clear sub-cultures forming as the tale goes on. But this is not a review of the book. This post is just a congratulations. To Annabel: All your hard work has come to fruition! It is amazing what you have achieved, and I cannot wait to read it. It was wonderful to come to your launch and play pretend with you last night. If you want to get involved there are several ways. It was great fun. 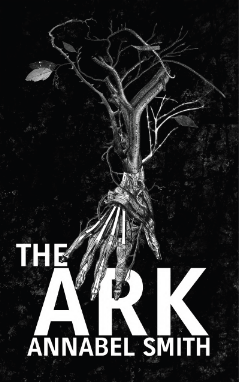 Many congratulations to Annabel and the team at 'The Ark'! oh, thanks Emily! I'm glad you had fun.